Eye Color: Brown to dark reddish brown. 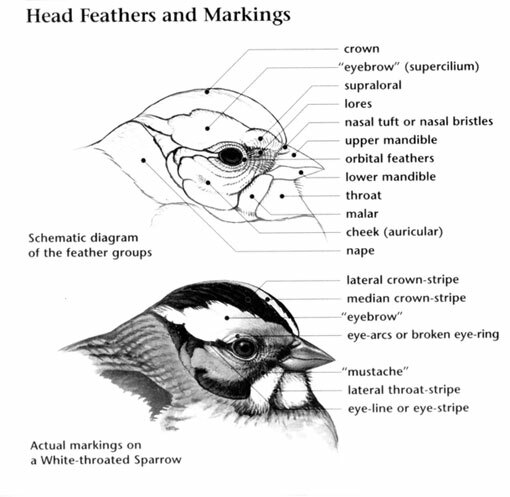 Crown Color: White with gray-brown streaking. Forehead Color: White with gray-brown streaking. Throat Color: White with gray-brown streaking. 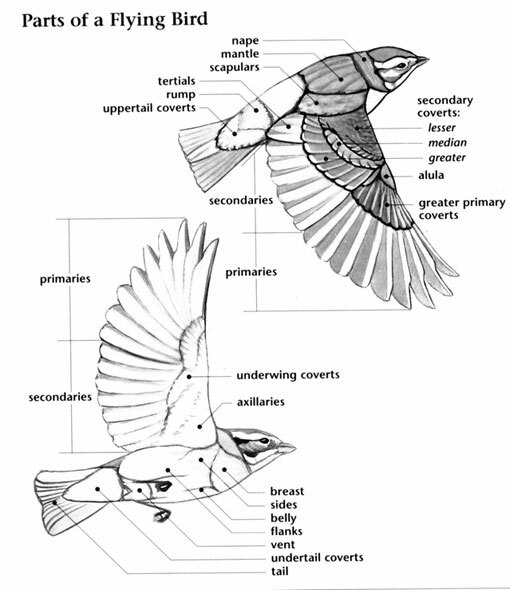 Underparts: White with gray-brown streaking on breast and sides. 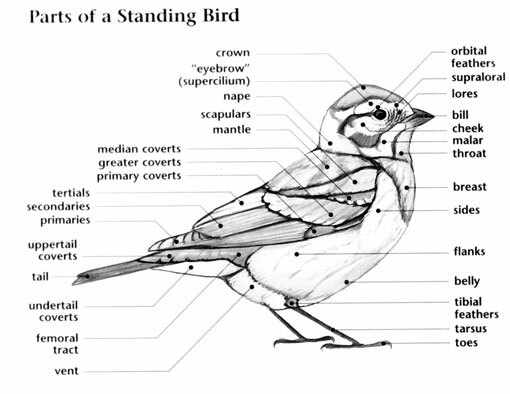 Upperparts: Gray-brown with black streaks. Upper Tail: Brown with white outer feathers. Under Tail: Brown with white outer feathers.